The Pliko Four is a stylish, yet functional stroller completely loaded with features for your convenience and baby’s comfort. Reviewers rave about how easy this Peg Perego baby stroller is to use, it’s light weight, the quality and durability and the smooth ride it gives. Your newborn baby will travel in comfort and safety because the Pliko Four is car seat-compatible; just install the Primo Viaggio SIP 30-30 car seat and you have a fully functioning travel system. 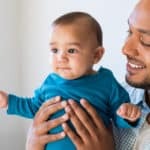 Have an older child? An installed rear foot board provides an older sibling a safe place to ride along. The Peg Perego Four is quite versatile for your family, no matter what size. 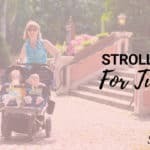 Let’s explore more of the features and how this stroller can help you, and then we’ll go into what Pliko Four owners have to say about their stroller. 3 What is folding the Pliko Four like? 6 A unique sun canopy. 11 Where can you find the best price? Folded: 40″H x 14″W x 18″D (standing upright)Width: 21″Seat back: 20½”Seat to canopy: 24″Open Length: 31″Height: 41-43″Weight: 19 lbs. The Peg Perego Pliko Four is a mid-sized lightweight stroller weighing 19 pounds. The aluminum frame is light and strong, making it easy to carry, and yet it is so durable that it can last for more than one child. This allows parents to get the most of their money, making the Pliko Four a smart investment for their children. The strong aluminum frame allows children up to 45 pounds to ride and this stroller is well-balanced. The extra heft the Four has makes it sturdy enough so that even when your child is not in the stroller, a large purse and a few shopping bags can still hang off the handlebars without causing it to tip backward. What is folding the Pliko Four like? The Pliko Four features a one-hand folding feature. It allows easy, quick closing and carrying, and being lightweight, it is the perfect stroller for traveling by air or public transportation. Folding is very compact and it stands on its own once folded, which makes storage a breeze. Many moms love that it is easy to lift and fit into smaller vehicles. The Pliko Four has an all-wheel suspension that allows smooth rides for the child. Sealed ball bearings in the single front wheels helps the stroller to glide along for an effortless push. Set the front wheels to swivel for easy steering and turning or lock them into place for straight long distance strolls. With its lightweight frame and all-wheel suspension, parents can assure ultra comfortable strolls for children and easy maneuvering. If you have an older child who normally walks but needs a little break, or you need to walk a bit faster, let them hop on the rear foot board between the back wheels; it’s very stable and sturdy. The first thing that has to be mentioned is the soft yet elegant fabric. I absolutely LOVE the fabric on this stroller! It is rich in color and the padding is so cushy on this seat it is like a big cozy easy chair to settle back in. The side panels at the top of the seat will keep your child’s head cradled while taking a nap. The Pliko Four has a signature 5-point harness that keeps the child safe and secure in the seat without making them feel uncomfortable. The stroller has a fully supported, four-position backrest that reclines flat. Moms appreciate this feature because they can recline the seat one-handed and not disturb their child once they’ve fallen asleep. When your baby is very small, having support for little legs is important, both for healthy circulation and for comfort. The Peg Perego Pliko Four has a two-position leg rest, either up or down, and it really makes a difference when supporting little legs. I love the sun canopy because it’s huge and does a fantastic job shading your child; fully extended, it goes all the way down past the bumper bar, completely enclosing your child on very sunny or windy days. The sun canopy has a peek-a-boo mesh window and storage pocket, adding a nice touch for both child and parent. Parents love it that they can store items such as keys and cell phones safely. Don’t want to use all that canopy? If you prefer, unzip and remove the back panel and it is transformed into an airy “floating” sun canopy. Strolling in the park on a spring day is no longer a problem if it gets a bit too warm just unzip the back of the hood to get some full air flow, yet your child is still shaded. How versatile! The Peg Perego Plinko Foud also has the option to dangle a favorite toy for your baby in the special loop underneath the canopy, which is a little detail that I absolutely love. The stroller has ergonomically designed telescoping handlebars with extra padding. I personally liked the thumb impressions at the top of the handles making it very comfortable to hold as I push. In a review, a mom mentioned that she can hang shopping bags on the handles and it does not tip back despite being lightweight. The Peg Perego Pliko Four has an nice large basket where moms can store baby essentials, such as a diaper bag. It’s not a huge basket but large enough to store the necessities and access is easier through the front, as you see in the photo above. A storage pocket on the canopy gives you a place to keep small things like your keys, phone and lip balm. However, it is ON the flap that covers the peek-a-boo window, so don’t flip the flap with stuff in the pocket. Your things will fall out! An adjustable parent cup holder on the side of the frame, and it fit most can or bottle sizes. 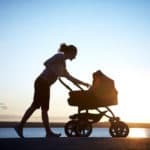 Most lightweight strollers do not come with any parent tray, and having at least a cup holder makes this an excellent feature that parents enjoy. Accessories you might want to consider buying separately include a child’s snack tray with two cup holders. The other popular item lots of parents get is the travel bag,especially if you plan to take this stroller with you on an airplane. 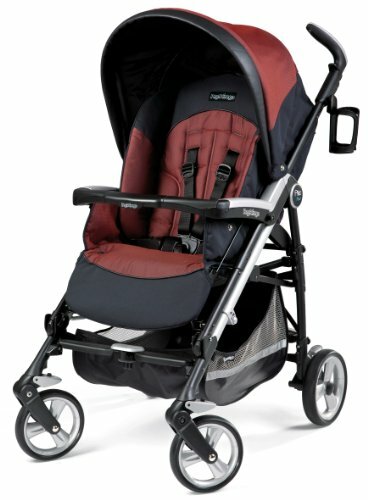 Peg Perego Pliko Fourreviews give this stroller overall high marks across several web retailers for overall attractiveness, light weight and easy fold. 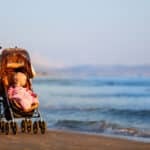 Time and again, parents mention how well this stroller holds up over the years, so it is clear that durability is proven. Consumer Reports has given this this stroller very good marks across the board for Ease of Use, Maneuverability and Safety. Moms have said that they love how compact their Pliko Four is and how it takes up minimal space, which can come in handy when putting it in taxi trunks and car rentals. Parents say that the Peg Perego Four maneuvers quite well and that it is very comfortable for their child. Petite moms and dads love the adjustable-height handles. Not many complaints about this one, just a couple of minor observations that could use improvements. The footboard could be a little bit wider for toddlers to stand on easier. The pocket on the sun canopy should have a closure on it, or don’t make it the peek-a-boo window flap. Your things spill out if you open the flap to check on your child. My favorite place to buy strollers is on Amazon. They also tend to have the lowest price AND offer free shipping. This is absolutely the best deal you are going to find. Now imagine yourself taking your new Pliko Four around your neighborhood for the first time!